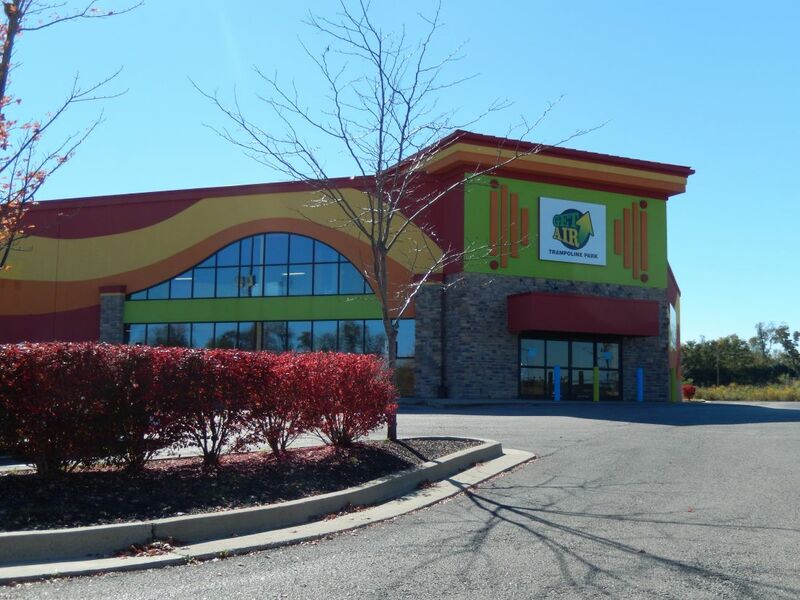 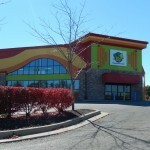 This colorful building was originally designed as a Spirits Liquor store as part of the Brannon Crossing shopping center. 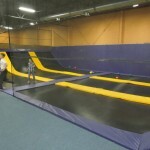 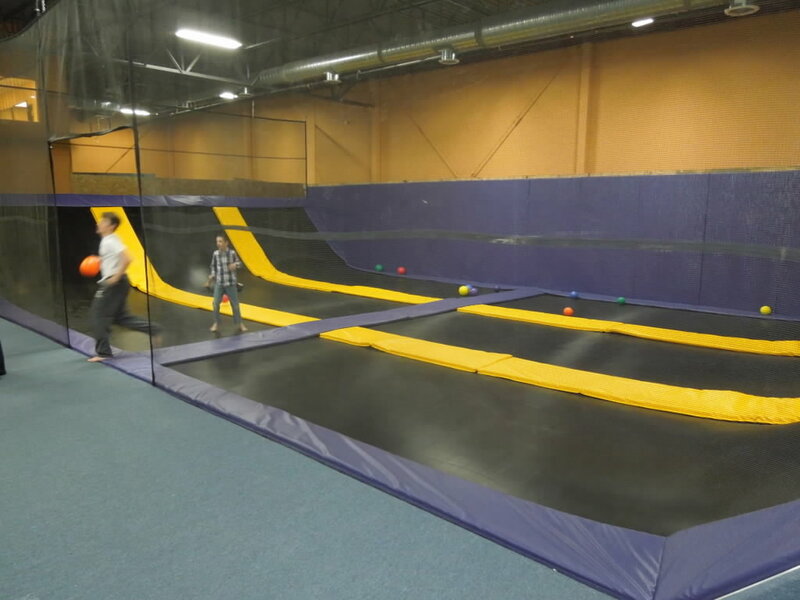 The large open layout and generous ceiling height made for a great combination to become the Get Air trampoline park. 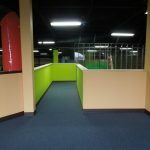 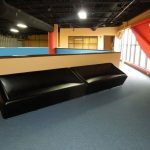 The renovation of this existing building included elevated trampolines and decking, concrete slab cuts to allow for depth of trampoline foam pits, new reception counters and snack bar, HVAC upgrades, and the addition of plumbing for an accessible bathroom. 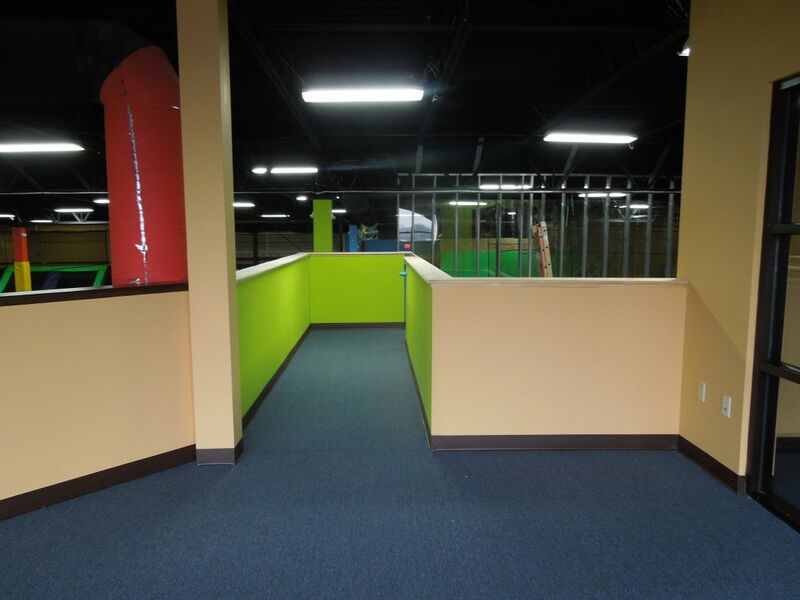 A catwalk and new stairs were also installed as a second means of egress from the mezzanine level to the main level. 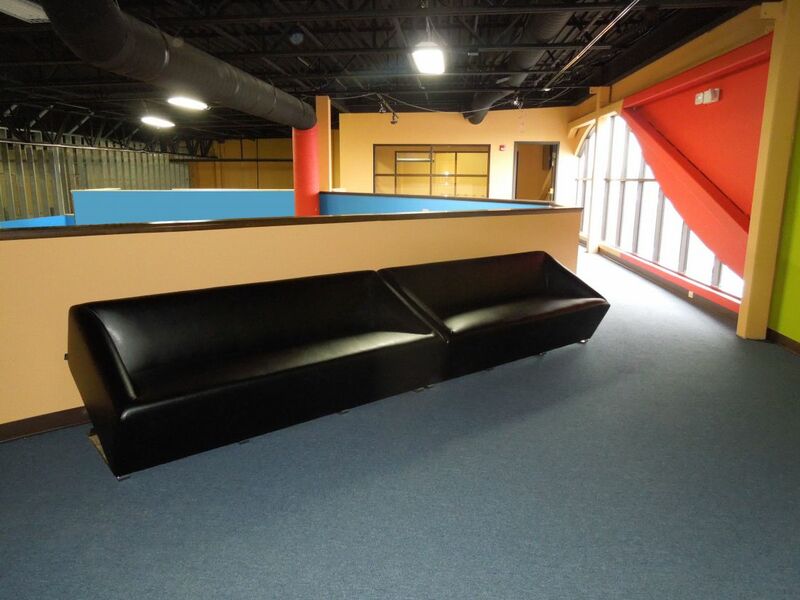 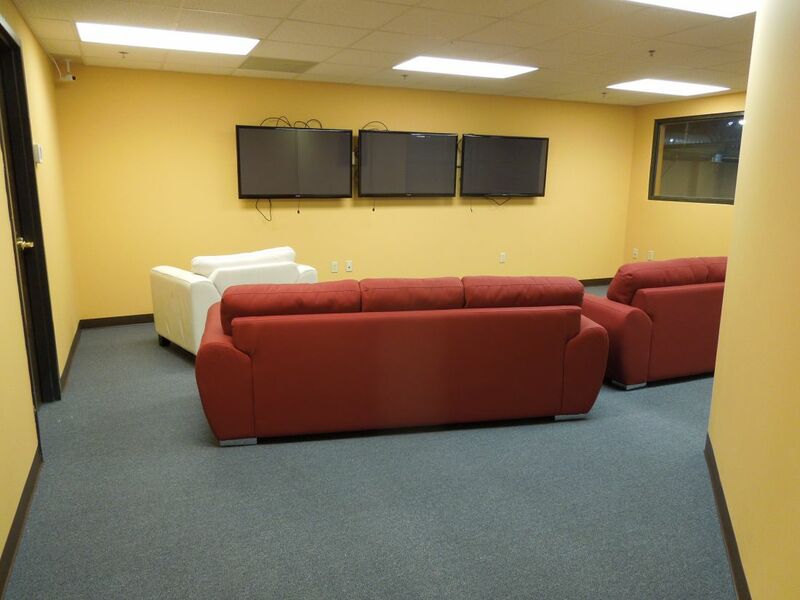 The mezzanine level contains a second event room, a lounge (with large leather sofas and TVs), a bathroom, and extra seating. 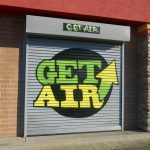 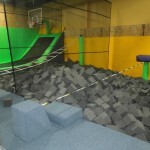 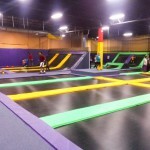 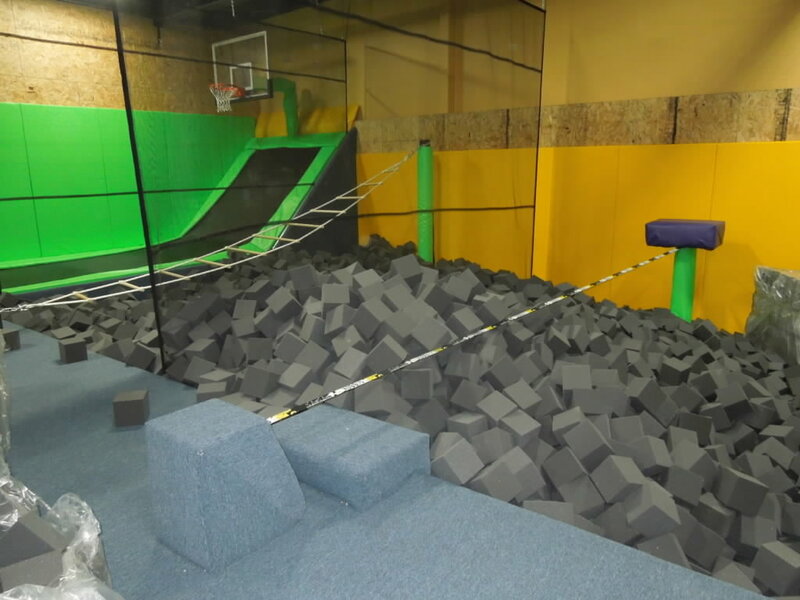 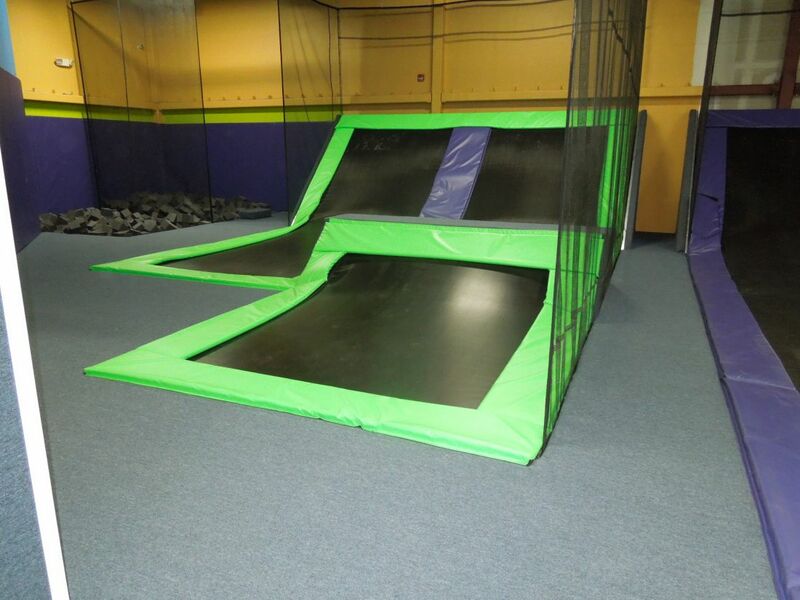 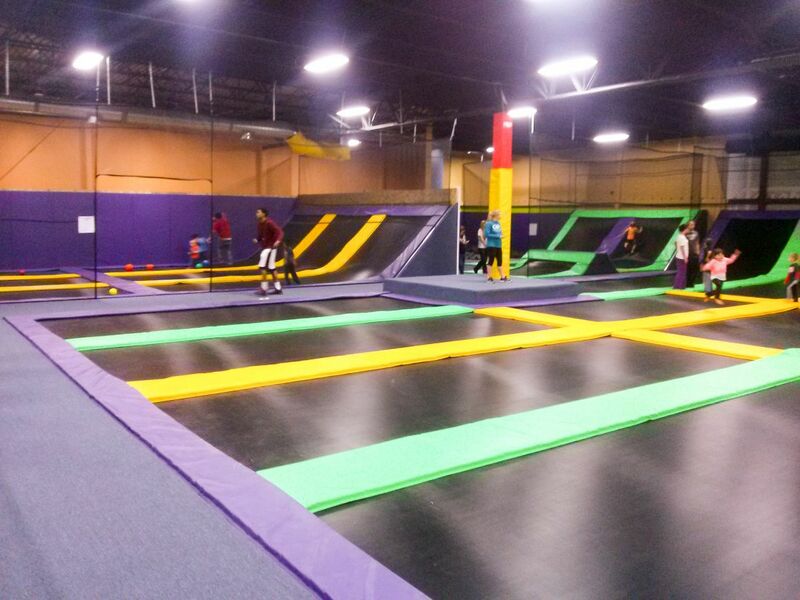 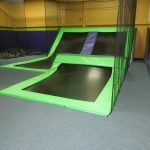 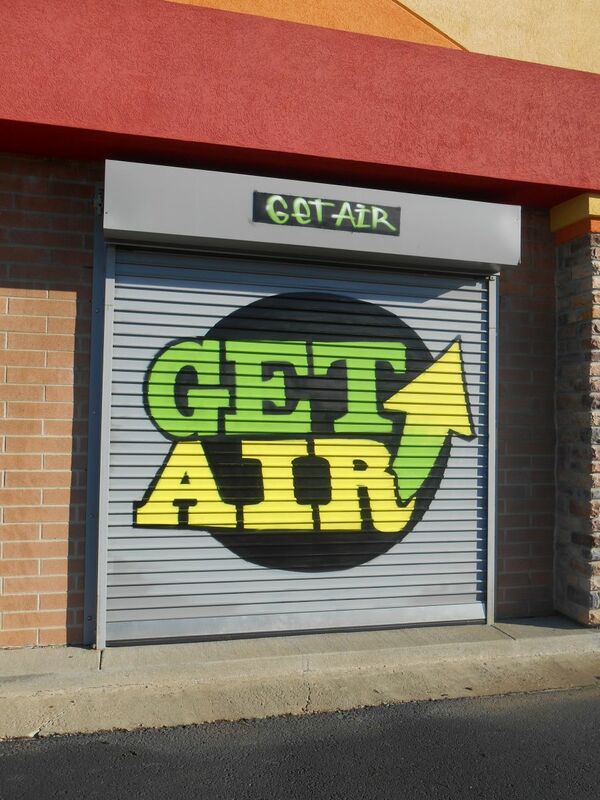 Get Air offers a large main area for jumping, a dodgeball trampoline court, a small children play area, a slack line foam pit, a climbing ladder foam pit, two jumping foam pits, and a basketball hoop trampoline.